With extensive experience, the team at Stenbeck Law Office offers unparalleled expertise to meet the needs of our clients. We're committed to providing exceptional service, and we insist on delivering results. Our main office is located in Medicine Hat across from the CP Rail Station, but we also have an office in Kindersley. Give us a call and let us know which location works better for you. We know you have questions, and rest assured we have answers! 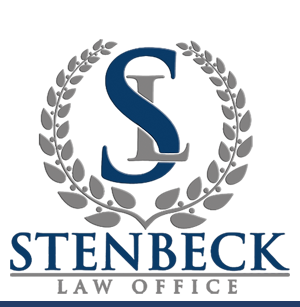 At Stenbeck Law we deal with all aspects of civil law. If you are dealing with an unresolved dispute between private parties, or need guidance regarding other non-criminal matters, contact us today to discuss your legal options. Resolving disputes takes time and commitment, but unresolved disputes can be costly and have the potential to dramatically affect your business or your personal life. We can help you achieve a resolution that works for you. Seeking legal advice? Are you trying to understand all of your options in resolving a legal matter? Or even contemplating if a matter is worth fighting legally? 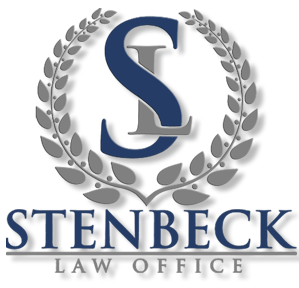 Our team at Stenbeck Law will do our best to help you make the decision that is right for you. Contact us today for a consultation. If we feel that we are not best suited to help in your situation, we can refer you to someone that can. You have questions, we have answers! Stenbeck Law: you have questions, Scott has answers! I chose "I have answers" as a tag line for my business cards based on my experience in practicing litigation, divorce, and family law. When I first meet with someone, the first thing they desire is often an answer to their most pressing questions such as: 'I left the house, so have I given up my share of equity in the matrimonial home?' or 'my ex-spouse wants to leave the country with my children, do I have to let them go?' Misinformation about the law as well as concerns of what will come next can plague a person, and I want to be there from the beginning to discuss, clarify, and formulate an effective plan. In addition to family and divorce law, I also practice in other areas of litigation such as debt collection, construction litigation, corporate litigation, and wrongful dismissals both for Plaintiffs and Defendants. The only areas of litigation in which I no longer practice are personal injury and medical malpractice. As the law continues to evolve, I find it necessary to reduce my areas of practice in order to stay up to date on everything. I also represent landowners and have been fortunate enough to make strides for the rights of both farmers and ranchers against oil and utility companies like Altalink and Esso. A successful case in the central Alberta area, which is now a matter of public record, involved the Alberta Utilities Board hiring private investigators and monitoring landowners during a hearing on a 500 Kv transmission line rebuild from Calgary to Edmonton. With hard work and perseverance, we won at the Alberta Court of Appeal and defeated the two-billion-dollar project—a rewarding win for everyone involved. Although I am passionate about the law, I'm not a general practitioner and do not partake in 'solicitor' work. I have not drafted a will, performed a real estate purchase, or probated an estate in years. In medicine, if a patient wrecks a knee, they hope to see an orthopedic surgeon rather than a cardiologist or pediatrician. Likewise, a client experiencing divorce, common law separation, loss of a job, or a business dispute wants to work with a lawyer who focusses on those difficult, and sometimes devastating, areas of law. I first ran trials while still in law school, and I have now been practicing law for seventeen years including my year of articling. Not only have I appeared in front of many Justices and Judges, but I have also dealt with numerous lawyers who, too, practice divorce and family law. Often, my cases settle, but when necessary, I'll file court proceedings and run trials without hesitation. It's been nearly twenty years since my first appearance in a Court room, and it's not a place I have any difficulty going for a client if that's what best serves their interests. As for what to expect, I run things a bit differently than what you may have experienced with the legal profession in the past. I practice in a limited number of areas in order to bring those skills to a successful and refined level. Furthermore, I believe it beneficial to limit the number of clients to a reasonable number, so I can concentrate on each case, and therefore, my turn-around time is quick. When a Court proceeding needs to occur, it's not unusual for a client to see me the first time, and then be able to return in a matter of days to sign documents and advance their matter. As a final note, I realize legal services can be expensive and unfortunately, there's no way of getting around that. I do my best, however, to ensure a client gets the best value possible, which includes a lot of access to me rather than just my assistants. I quickly return calls and emails because I know the last thing someone wants when a crisis hits is to wait days for a response from their lawyer. I believe timely communication is my responsibility, and I strive to make sure a client knows exactly what I'm doing for them and why. Thank you for taking the time to visit my website. Feel free to check out my blog or give our office a call. I look forward to speaking with you. 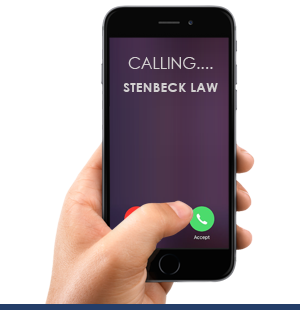 Stenbeck Law Office provides legal advice and representation for clients in and surrounding Medicine Hat, Lethbridge, and Kindersley. We realize legal matters are often stressful, so our goal is to provide a service that eases anxiety in a timely and professional manner. We're open Monday to Friday from 9am-4pm and are ready to help. Give our office a call to ask any questions or to set up a consultation with Scott. 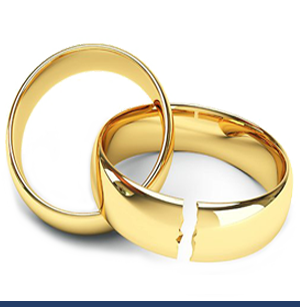 At Stenbeck Law Office, our methods are suitable for people with either average or complex legal needs related to marriage, divorce, and separation. Every family matter varies, but our goal is always the same—to customize an approach that meets your unique, financial, and emotional needs. We want to make your experience with us as prosperous and timely as possible. 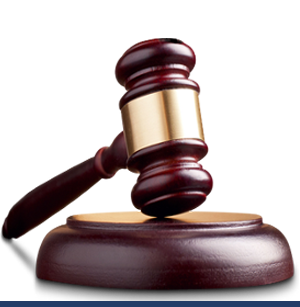 At Stenbeck Law Office, we deal with general litigation disputes between both private parties and companies. Resolving disputes takes time and commitment, but left unresolved, these disputes can affect your business or personal life. We're here to help and find a resolution that works best for you. A legal case dealing with a terminated relationship is hard. A case dealing with child access and custody is harder. At Stenbeck Law Office, we understand how emotionally-draining child custody cases can be, but with Scott's many years of experience, we can say that we help resolve these cases with open hearts and always put the interests of the children first. Stenbeck Law Office Lethbridge, AB. Stenbeck Law Office Kindersley, SK.